Is Greatness worth the suffering? Whiplash offers an answer. I just finished watching the movie Whiplash about the young music student who trained under an abusive task-master of a conductor at an exclusive conservatory in New York. Fletcher the conductor, played by P.K. Simmons in his Academy Award winning role, was so harshly punitive that a former student allegedly committed suicide due to the pressure of his oppressive mentoring style. The main character in Whiplash, Andrew Neiman, endured Fletcher’s abuse, practiced till his hands bled, and at one point climbed out of a car wreck to make it to a performance on time only to be dismissed from the stage by the tyrannical Fletcher. The question Andrew raises, and the one Whiplash evokes in we the audience as well, is whether or not that level of pain and suffering is worth it. Andrew sacrifices his relationship with his girlfriend, his time, his energy, his health and well-being, only to be expelled from the conservatory when he understandably erupts in defiance at Fletcher, cursing and throwing his instruments in a tirade that was long coming. In a climactic scene, Andrew confronts his former mentor. Was all that abuse really necessary? Andrew questions him again, asking if Fletcher’s angry coaching style might discourage a future Charlie Parker. I wonder if talent needs to be beaten out of a person in order to make the person great. I wonder if greatness can be achieved by positive reinforcement and warm nurturing or is Fletcher’s flagellation as necessary as he believes. I say there’s something to it. I believe a push is more powerful than a nudge. I think the drive to seek that impossible approval is what makes the difference between great and the greatest. If Fletcher had used positive reinforcement, I don’t think he would have gotten the same level of drive from Andrew. Whiplash asks us whether or not that level of suffering is worth it. We have to ask ourselves if contentment is what we’re after or is it ranking as one of the best of the best? There is no right answer. It’s a matter of choice. It’s a matter of destiny, a destiny that we choose as we form our lives. What is it that matters to us? What are we willing to do to achieve it? Whatever we are led to, Whiplash is worth the watch. Read my book on how I triumphed over the odds! I am Professor Lisa Sargese. 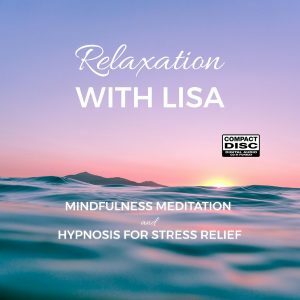 I speak and blog about achievement, recovery, and the mind body connection. I have been a college professor for over 12 years teaching Religion, Women’ Studies, and Psychology. I am certified as a hypno-counselor with the National Guild of Hypnotists. I uses hypnosis with groups and individuals to create habit change and relieve stress. I speak publicly on a variety of topics including spirituality, personal development, goal-reaching, and healing. I hold two Master’s degrees: an M.T.S. in Theological Studies from Drew University, ’02, and an M.A. in Counseling and Human Services from Montclair State, ’06. I also have my B.A. in Philosophy and Women’s Studies. I was honored with the Tikkun Olam Award for my interfaith work in 2012. I received the ‘Mirror Mirror’ Award in 2009 for my work in body positivity and eating disorder recovery. I am a trained Qi Gong Therapist, lead guided meditation, and use essential oils to facilitate healing.